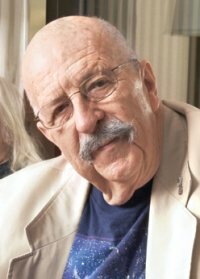 Gene Wolfe was born in Brooklyn NY and grew up in Texas, where he attended Texas A&M and the University of Houston, graduating from the latter in 1956 with a BS in mechanical engineering. He served in the US Army in Korea from 1952-54 and received the Combat Infantry Badge, was a project engineer for Procter and Gamble from 1956-72, and a senior editor of Plant Engineering from 1972-84, when he left to become a full-time writer. Wolfe’s first published story was ‘‘The Case of the Vanishing Ghost’’ (1951) in student magazine The Commentator (1951). His first professionally published story was ‘‘The Dead Man’’ for erotica magazine Sir (1965), and most of his early SF stories appeared in the Orbit anthology series. He’s since published scores of stories in magazines and anthologies, notably Nebula Award winner and Hugo finalist ‘‘The Death of Doctor Island’’ (1973; Nebula finalists ‘‘The Island of Doctor Death and Other Stories’’ (1970), ‘‘Against the Lafayette Escadrille’’ (1972), ‘‘How I Lost the Second World War and Helped Turn Back the German Invasion’’, ‘‘The Eyeflash Miracles’’ (1976), ‘‘War Beneath the Tree’’ (1979), and ‘‘A Cabin on the Coast’’ (1984); Hugo finalists ‘‘The Woman the Unicorn Loved’’ (1981) and ‘‘No Planets Strike’’ (1997); Hugo and Nebula Award finalists ‘‘The Fifth Head of Cerberus’’ (1972), ‘‘Seven American Nights’’ (1978), and ‘‘Memorare’’ (2007); World Fantasy Award finalists ‘‘In the House of Gingerbread’’ (1987) and ‘‘Golden City Far’’ (2004); and Sturgeon Award finalist ‘‘The Lost Pilgrim’’ (2004). His stories have been collected in many volumes, including The Island of Doctor Death and Other Stories and Other Stories (1980), World Fantasy Award winner Storeys from the Old Hotel (1988), Endangered Species (1989), Castle of Days (1992), Strange Travelers (2002), Innocents Aboard (2004), Starwater Strains (2005), and The Best of Gene Wolfe (2009). Wolfe began publishing novels in 1970 with Operation Ares. His most ambitious and acclaimed works are the 12 books and assorted stories that take place in the Urth universe: the Book of the New Sun sequence: World Fantasy Award winner The Shadow of the Torturer (1980), Nebula Award winner The Claw of the Conciliator (1981), The Sword of the Lictor (1981), John W. Campbell Memorial Award winner The Citadel of the Autarch (1982), and coda The Urth of the New Sun (1987); the Book of the Long Sun: Nightside the Long Sun (1993), Lake of the Long Sun (1994), Caldé of the Long Sun (1994), and Exodus from the Long Sun (1996); and sequel trilogy Book of the Short Sun: On Blue’s Waters (1999), In Green’s Jungles (2000), and Return to the Whorl (2001). Other books include The Fifth Head of Cerberus (1972); Peace (1975); The Devil in a Forest (1976); Latro books Soldier of the Mist (1986), Soldier of Arete (1989), and Soldier of Sidon (2006); Free Live Free (1984); There Are Doors (1988); Castleview (1990); Pandora by Holly Hollander (1990); The Wizard Knight duology, The Knight (2004) and The Wizard (2004); Pirate Freedom (2007); An Evil Guest (2008); The Sorcerer’s House (2010); and Home Fires (2011). 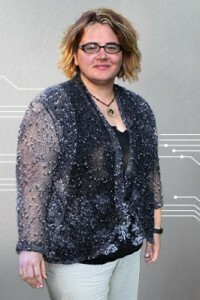 Wolfe was honored with a World Fantasy Life Achievement Award in 1996, and was made a living inductee of the Science Fiction Hall of Fame in 2007. He has been married to Rosemary Frances Dietsch since 1956; they have two sons and two daughters, and live in Barrington IL. “The more science-fictional part of Home Fires uses war in space as a plot device. To get my heroine Chelle off-planet so I would get the time-disparity thing where she hardly ages while decades pass for people on Earth, I needed a war for her to fight. There they were, just waiting in the wings: the Os, the cyborgs. Somebody could probably grab a first-level cyborg and do some reprogramming, and wouldn’t that be interesting? Hook ‘em up to a computer, and start tinkering with the software. So I have Rick Johnson, who went to West Point but has been reprogrammed as a spy for the Os. 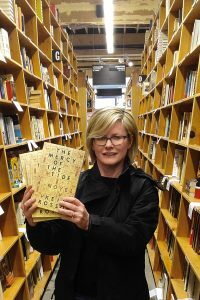 “For years, my routine at home would be to write all morning and for the rest of the day do things like answer letters and do filing, the accounting stuff that is required if you’re a writer, and so on and so forth. Now it’s just a matter of finding time somewhere, where I can write. We’re traveling and I’m taking care of Rosemary and I’m having a tough time trying to find writing time – to say nothing of reading time. If these are the excerpts (heart problems was interesting, not sure we ever heard this before), where is the whole interview?